"The teams that beat Tom Brady are those that can get in his face, the Jags are one of those teams." All eyes are on the right thumb of Tom Brady. The five-time Super Bowl winning Quarterback injured it in practice on Wednesday, didn't take part in Thursday training and was only a limited participant on Friday. Officially he's been listed as Questionable. If he's out then that changes everything. It would be absolutely shocking to see anyone other than No. 12 walk out to take the first offensive snap for the home team. The real question is whether or not the injury will hinder him in Sunday's game? Brady is all about accuracy and if that thumb is causing him any issues, then it is that aspect of his game that will go first. Away from all the concerns over this injury, we all know how great the Patriots QB is. He will go down in history as one of the best to have ever played the game. 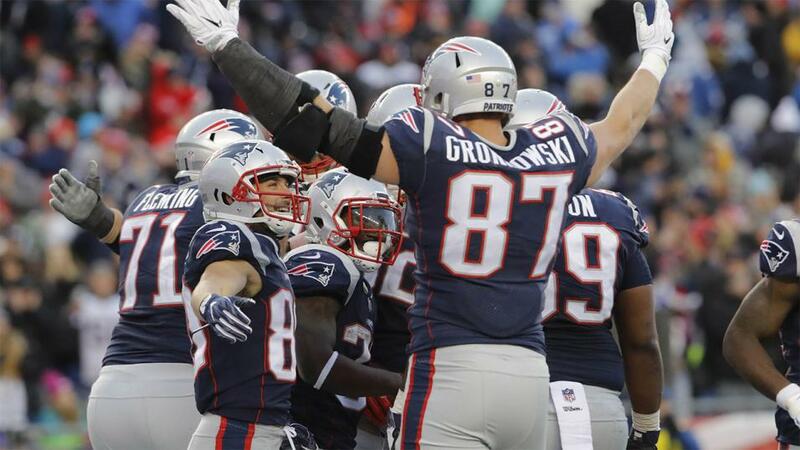 This season he's relied heavily on Rob Gronkowski. When Brady needs to make a play, he finds his Tight End, who is the biggest mismatch in the NFL. In the running department, Dion Lewis has been nice all season long. The injury bug has hit home here as well with both Mike Gillislee and Rex Burkhead listed as Questionable. The defending Champions have some legitimate question marks heading into this one. The fact it is the AFC Championship Game and we are talking about Jacksonville deserves to be noted. This has been a surprising year for the perennial AFC South strugglers. At the start of the season, when asked how many throws his Quarterback would ideally attempt every game, the head coach said none. That is as much confidence Doug Marrone had in Blake Bortles. Yet the 25 year-old out of UCF is finding ways to get it done. The big throws when needed against Buffalo and Pittsburgh so far in the playoffs, he's made. His other asset has been the way he's used his legs to scramble for big first downs. In the backfield Leonard Fournette has been the key linchpin of this offense. He'll pound the ball right up the middle as he tries to wear you down. He's also dealing with an ankle injury sustained in Sunday's win over the Steelers but he's expected to play. When you talk about Jacksonville though, you can't forget about the defense. From back-to-front, they have every base covered. They can get to the Quarterback, they have corners who can go one-on-one with near enough any receiver. Even the linebackers have top-level speed that can cause issues for those short crossing routes that Brady loves so much. The underdogs aren't just here to make up the numbers, they've very much earned their place to play for the right to represent the AFC in Minnesota in a fortnight. The line has been set at New England-7.5. All week I've said to myself I'm either taking the Pats and giving the points or taking Jacksonville straight up. Taking the 7.5 was never an option. The teams that beat Tom Brady are those that can get in his face, the Jags are one of those teams. I'm rolling with the straight upset at [3.8] on the Exchange. Points-wise the line has been set at 45. That seems slightly low to me. Tom Brady even if hurt will put up points and if I like the upset, that means I have to like Blake Bortles and Co. to put up even more. Over is my play at [2.0] on the Exchange. On the side markets, two small plays. Jacksonville's D/ST to score at any time is up at 9/2 on the Betfair Sportsbook. With their skills and Brady's thumb, that is a combination worth betting on. Also at 40/1 you can get both teams to score 2+ TD in each half, there's plenty of value in that.